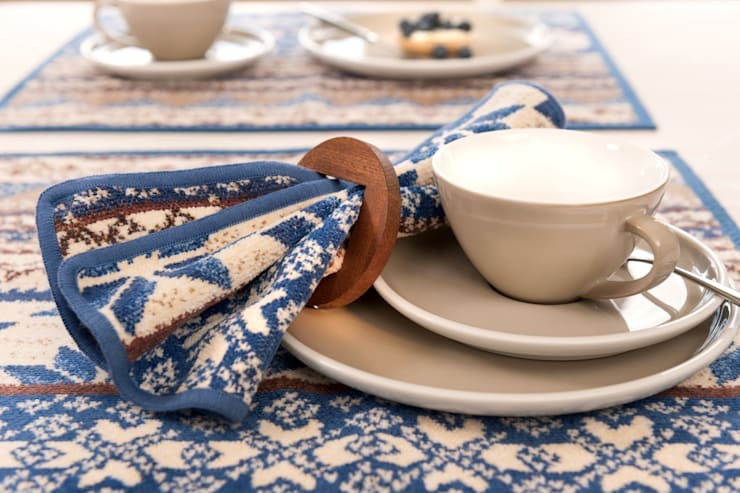 Table linen adds elegance and style to any occasion, be it breakfast, brunch, lunch, or dinner—the modest and relatively unassuming kitchen accessory ensures your mealtimes are crisp, clean, festive and fabulous. 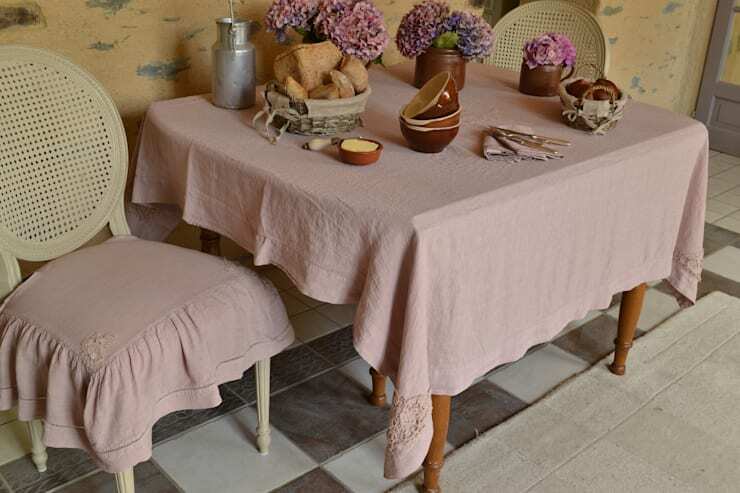 The humble tablecloth itself has a long and varied history, with its roots traced back nearly 2000 years. The first-known tablecloth aficionado was a Roman chap named Martial, who lived during the 1st century AD, and whose poetry guides us to the earliest use of napery. During this time, we have seen its progression from simple and perfunctory household necessity, to stylishly designed item used to enhance one’s dining experience. Thankfully we have moved past the psychedelic pastiche of 60s vinyl-topped numbers, and these days we see countless choices when it comes to our table linen. From runners and cloths to mats and napkins, it can be difficult to choose a stylish setting, let alone pick a cohesive collection of sophisticated and classy linens. Take a gander over the following examples below and ensure you make your next dinner party a trendy event to remember. Often we associate placemats with an outdated aesthetic, this couldn’t be further from the truth—these stylish placemats illustrated here demonstrate their ability to change and alter a dining experience and infuse a sense of luxury and sophistication. 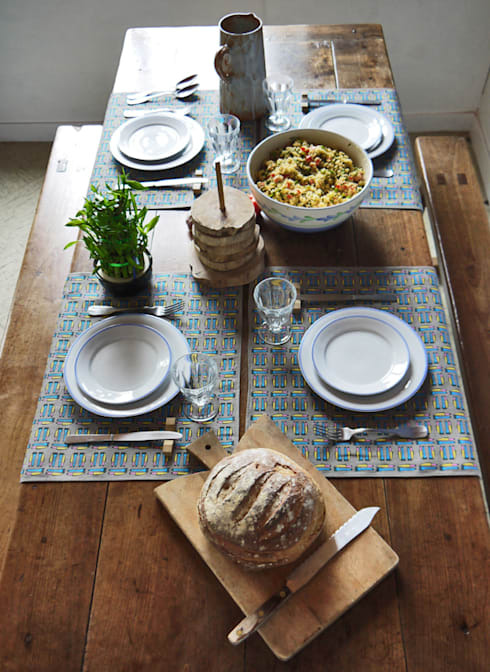 When choosing a placemat, ensure the fabric is strong and absorbent, organic materials are best, such as linen or cotton. This will allow you to wash them at high temperatures and remove any stains. The only pitfall with these natural materials is their need for ironing, but they will look luxurious and last much longer than other textiles. One important thing to remember is that linen for your domestic or dining space, does not end at the table—good quality linen in the kitchen is just as important and can greatly contribute to the overall feeling and vibe of your space. 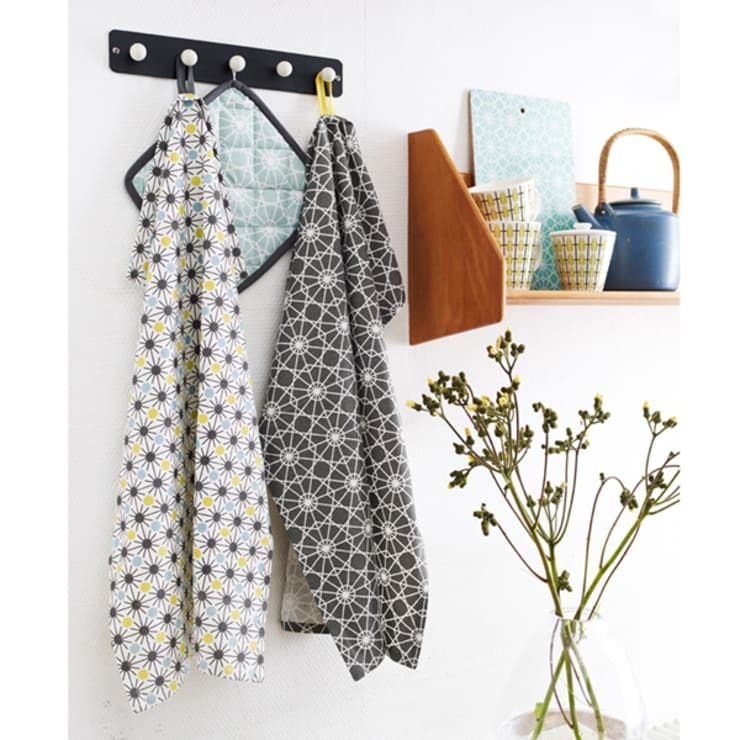 Consider your tea-towels, aprons and oven accessories when you purchase your fresh linen. A good quality apron will last a long time, and the same can be said for oven gloves and tea towels as well. Choose a natural fabric that is hardwearing, and also a colour and style that suits your home. They have been around for as long as we can remember, but the table runner is an age old classic that exudes elegance, sophistication and glamour. This gorgeous dinner setting pairs a white tablecloth with a long printed runner upon which the glasses, floral bouquets and candles are placed. This sections off the centre of the table and creates a space for a centrepiece or any other decoration. 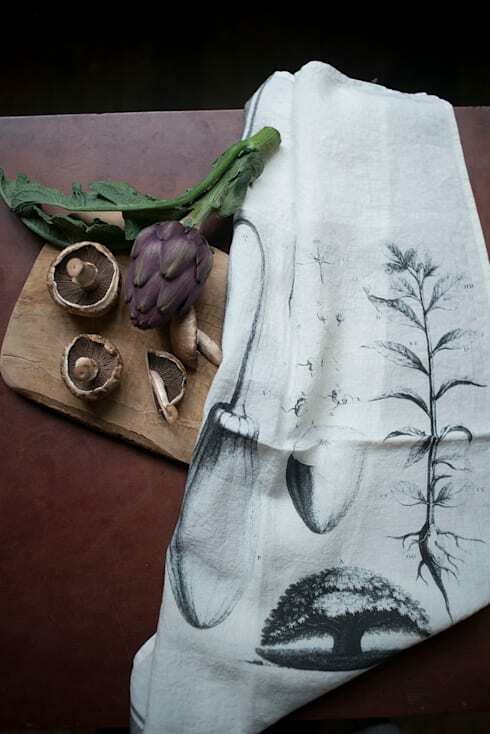 Everyone loves a nice printed tea towel or table cloth, and this example is a brilliant illustration of how stylish prints can be combined delicately and subtly whilst infusing your home with individuality and originality. Sometimes a printed tea towel can be a smart choice for a busy household, as it will hide stains more effectively than a crisp white fabric. When choosing your new table linen, be sure to coordinate your colours with your existing crockery. You don’t want to purchase a new set of floral placemats, cloths and napkins, only to find your nice new colour scheme simply doesn’t match the existing patterned plates and serving equipment. These days there are countless options when it comes to colour, style, and design—choose your linen wisely and make sure each piece is either coordinated or contrasted to perfection. If in doubt, choose subtle or pastel colours, traditional whites, and avoid bright colours that might conflict with your décor. 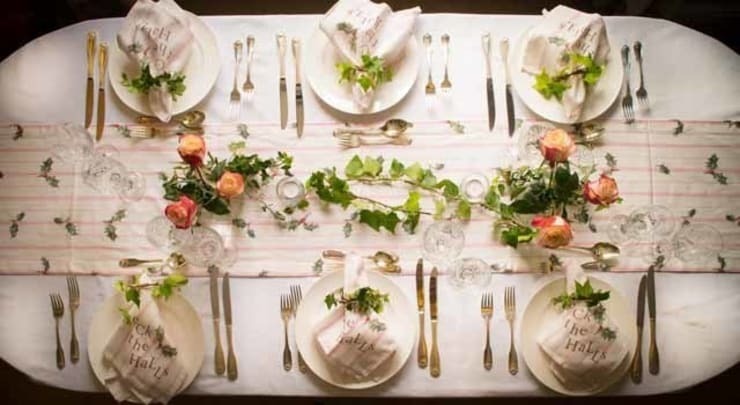 When choosing table linen, you may want to go with something classic, something quaint, and items that look charming and character-filled. When picking vintage linens, ensure you know the difference between linen and cotton. Both are tough natural materials, linen is produced from the flax plant, while cotton comes from the cotton plant. Linen will naturally become softer over time, as will cotton, however linen will naturally fade and become whiter, which can be beneficial for that cute cottage vintage feel.